Russian Deputy Prime Minister Dmitry Rogozin, a target of U.S. sanctions sparked by the Ukraine crisis, said Tuesday that those sanctions would boomerang against America's space effort and essentially told NASA to take a flying leap ... on a trampoline. The tart tweet came after news reports in which Rogozin, who is in charge of the Russian space program, was quoted as saying sanctions against Russia would have a negative effect on NASA as well as Europe's space effort. "Essentially, the Americans want to clear us out of the space services market," he said. Russian rockets are being used to launch European satellites as well as NASA astronauts, he noted. "I am sick and tired of these sanctions, to be honest," he told journalists in the Crimean city of Simferopol, which was part of Ukraine until Crimea was annexed by Russia last month. "They don't understand that the sanctions will hit them like a boomerang." Rogozin is on the list of Russian officials whose financial assets are supposed to be frozen under the terms of the U.S. sanctions. He came under criticism last week from SpaceX's billionaire founder, Elon Musk, who is contesting the U.S. Air Force's decision to buy rocket hardware from United Launch Alliance. 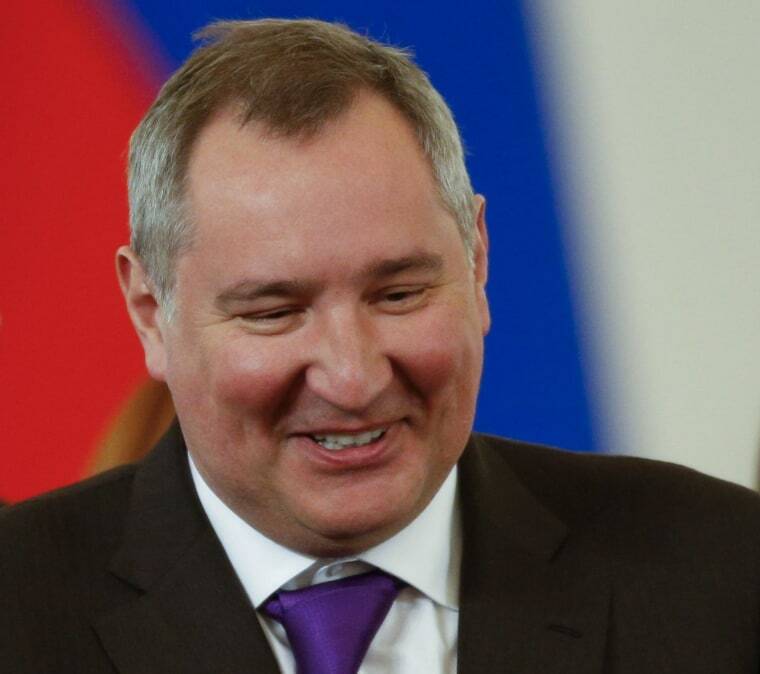 The Russian state-controlled company NPO Energomash provides engine components for ULA's Atlas 5 rocket, and Musk said "it would be hard to imagine that Dmitry Rogozin is not benefiting personally from the dollars that are sent there." If that's the case, Musk argued that the Air Force's purchase of Atlas rockets might violate U.S. sanctions. In response to a question about that issue, State Department spokeswoman Jen Psaki said Rogozin was being targeted "as an individual, not as a company." --- NBC News Producer Maria Stromova contributed to this report.